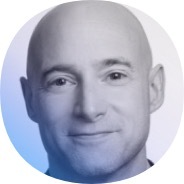 Job-killing robots? 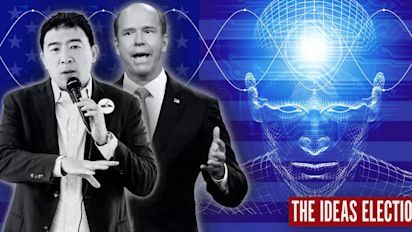 These 2020 hopefuls have a plan. The leader of an armed group that has been detaining asylum-seeking families from Central America near the Mexican border said two years ago that he was training supporters to assassinate Hillary Clinton, Barack Obama and billionaire Democratic supporter George Soros, according to a criminal complaint filed Monday. The FBI declined to comment on why it waited to bring charges against Larry Hopkins following a search in 2017 but his arrest follows widespread criticism after videos surfaced of their members carrying firearms and detaining groups of immigrants crossing the border. Members of the group the United Constitutional Patriots say they want to draw attention to immigration violations and assist federal law enforcement in patrolling the border. Muslim brothers carried out two of the hotel suicide blasts in Sri Lanka on Easter Sunday, part of a wave of bombings that killed more than 320 people, police sources told AFP Tuesday. 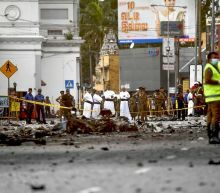 The sons of a wealthy Colombo spice trader were among suicide bombers who hit three churches and three luxury hotels, investigators said. The brothers, whose names have not been revealed, were in their late twenties and operated their own "family cell", an investigation officer said. Indiana State Police released new information in the 2017 murders of Abby Williams and Libby German in Delphi, Indiana. Nasa has detected a probable "Marsquake" for the first time. The suspected seismic event on the Red Planet was recorded using silicon sensors developed in the UK. A dome-shaped apparatus known as Seismic Experiment for Interior Structure [SEIS] landed on Mars last year equipped with the sensors, which were built with £4 million in funding from the UK Space Agency Nasa said the measuring of the quake, which occurred on April 6, marked the "birth of a new discipline - Martian seismology". 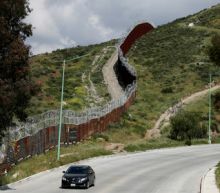 An armed group that has been patrolling the U.S.-Mexico border left its post in the New Mexico desert Tuesday amid pressure from law enforcement following videos that showed militia members stopping migrants who had illegally crossed into the country. Sunland Park police and security officers with a railroad company told members of the United Constitutional Patriots on Tuesday they needed to move their trailers and equipment. Union Pacific Railroad said the group crossed its land to access the site and requested that the group not trespass onto its property. Senator Kamala Harris (D., Calif.) said Monday that as president she would unilaterally tighten gun control laws through executive action if Congress did not pass legislation to do so within her first 100 days in office. Harris explained during CNN's town hall event in New Hampshire that she would use her executive authority to require that anyone who sells more than five guns per year conduct a background check on all sales, effectively eliminating their status as a “private seller” in a move that would be vulnerable to legal challenge. “Upon being elected, I will give the United States Congress 100 days to get their act together and have the courage to pass reasonable gun safety laws, and if they fail to do it, then I will take executive action,” Harris told the crowd. Dressed in a black tunic and headscarf, and carrying a rifle, Hashim is seen in the IS video leading seven people in a pledge of allegiance to the group's chief Abu Bakr Al-Baghdadi. The other seven all wear the same black tunics but their faces are obscured by black-and-white chequered scarves. 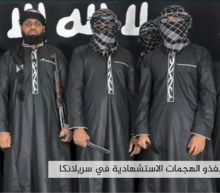 Sri Lanka's government has accused Hashim indirectly, saying the Islamist group he was believed to lead -- the National Thowheeth Jama'ath -- carried out the attacks. Washington is expected to become the first state to legalize an environmentally-friendly burial alternative that turns bodies into soil within weeks. A bill allowing “natural organic reduction," sometimes called "human composting," has passed the legislature and is headed to Democratic Gov. Jay Inslee's desk. Inslee, who has staked his 2020 presidential campaign on climate change, is reviewing the bill. 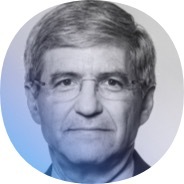 PG&E Corp can pay employees up to $350 million in bonuses this year to spur them to help meet the bankrupt California power provider's safety goals to prevent wildfires, a judge said on Tuesday. PG&E's management has said the company needs to implement the bonus plan to carry out tasks such as clearing trees and branches around power lines to avert contact that triggers wildfires. While the maximum cost of the plan is $350 million, PG&E has said it expects the likely cost will be around $235 million. Hillary Rodham Clinton says she agrees with those who argue that Russian meddling cost her the 2016 election and that President Donald Trump has obstructed justice in covering up his campaign's interactions with a foreign adversary. Speaking to the TIME 100 Summit in New York on Tuesday, the former Secretary of State, Senator and First Lady bluntly criticized Russian efforts to interfere with her presidential bid, noting that Russia had hacked every Florida county's elections system and had stolen not just top Democrats' emails but also their strategy. Then, she said, it has become clear that the only reason Trump has not been indicted is because of the office he currently holds. Explainer: Can Democrats get hold of the full Mueller report? North Korean leader Kim Jong-un has left for the Russian city of Vladivostok for his first meeting with president Vladimir Putin, during which the two are expected to discuss sanctions, regional security and Pyongyang's growing need for food aid. Kim "left here by a private train at dawn on Wednesday to visit the Russian Federation," the North's official Korean Central News Agency reported, kicking off a 20-hour journey to the far north-east of his country, where it has a short border with Russia. An aide to Mr Putin said the two leaders would focus on the denuclearisation of the Korean peninsula but were not planning to make a joint declaration or sign any agreements. A New York college student filed a lawsuit against Apple for $1 billion, claiming the company's alleged use of facial recognition software in its stores falsely linked him to a series of Apple store thefts. 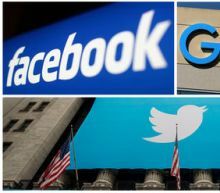 Ousmane Bah, 18, claims that he received a summons from a court in Boston saying that he stole $1,200 worth of Apple products in 2018, according to papers filed on Monday in Manhattan federal court. On the day of one of the thefts in Boston, Bah was attending his senior prom in Manhattan, according to the court documents. SUNLAND PARK, N.M./TAOS, N.M. (Reuters) - An armed group that has been stopping migrants illegally crossing the U.S.-Mexico border honored a request to leave their camp in New Mexico on Tuesday and appeared to be heading home, the local police chief said. The group's leader Larry Hopkins appeared in court in Las Cruces, New Mexico, on Monday to face firearms charges following his arrest on Saturday by the FBI. 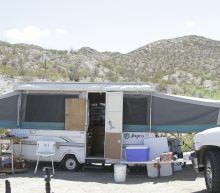 Sunland Park, New Mexico, Police Chief Javier Guerra said the group left their campsite outside the town following a request by the Union Pacific Railroad, which said they had trespassed on its land. Egyptian President Abdel Fattah al-Sisi will lead two emergency summits with other African leaders on Tuesday to address events in Sudan and Libya, his presidency said. 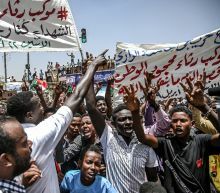 The leaders will focus on "the evolution of the situation in Sudan" where protests continue after the military toppled president Omar al-Bashir. They will also seek to "stem the current crisis" in Libya, where commander Khalifa Haftar is leading an offensive on Tripoli, Egypt's presidency said in a statement. More than 350 people were killed in bombings of churches and hotels in Sri Lanka on Easter Sunday. Some details on the victims: SRI LANKA The vast majority of victims were Sri Lankan, many from the nation's Christian minority. 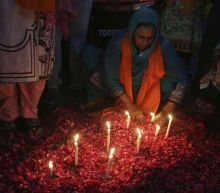 Their names and details of their lives were slow to trickle in and difficult to report, in part because authorities blocked most social media after the blasts. On Monday, Sony announced the pricing of the flagship Master Series televisions as well as that of its new LCD and OLED models originally revealed at CES earlier this year. Back in January at this year's annual International Consumer Electronics Show, Sony unveiled its latest flagship TVs, the Master Series, as well as a slew of lower-tier OLED and HDR models; this week the pricing was revealed. While the smaller three televisions of the Master segment, the A9G TVs, measure in at 65 , 55 , and 77 and feature 4K OLED displays with over eight million pixels, the two larger models -- the Z9G TVs -- are 8K HDR televisions with 33 million pixels. A Nevada Democrat who accused Joe Biden of touching her without permission says the former vice president has been "so incredibly disrespectful" by joking about the matter. Lucy Flores leveled her criticism Monday on Fox News as Biden nears an announcement of his 2020 presidential campaign.